The chapter organized its first exclusive project and portfolio management conference for engineering and construction professionals. 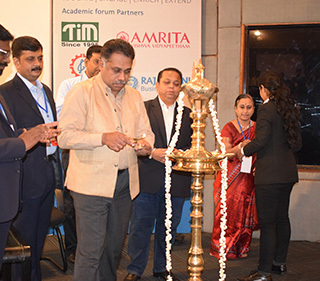 The conference was hosted in collaboration with the National Academy of Construction (NAC), Hyderabad on 23 February at the NAC campus. 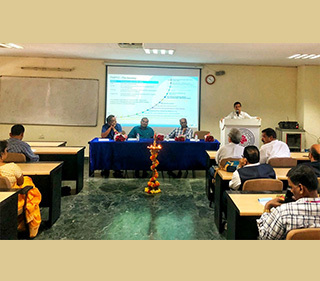 The theme of the conference was “Transforming Engineering and Construction through Advanced Project and Portfolio Management.” The conference brought together project managers and academicians to discuss ways to realize benefits from the perspective of portfolio management in projects and programs of critical projects. A number of government agencies such as Road and Buildings, Greater Hyderabad Municipal Corporation, Irrigation and CAD, Panchayat Raj & Rural Development, and Association of Consulting Civil Engineers (India), besides private engineering companies participated. It was a powerpacked day, with sessions from industry leaders. There were case study presentations with learnings on how advanced project and portfolio management plays a key role in business success, managing business uncertainty, and fostering innovation. To improve member engagement, the chapter has moved to Telegram, a cloud-based messaging and voice-over-IP service provider. With this, the chapter will be able to bring all the members onto a common platform instead of juggling with multiple WhatsApp groups. 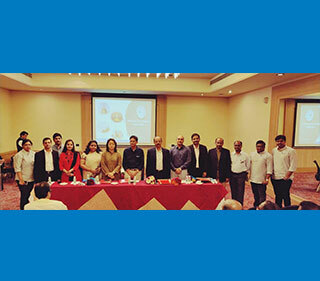 On 27 April, the chapter conducted a networking session for its members. The session was kicked off by chapter president Sriram Santhana Gopalan with chapter updates and information on the upcoming Gyan Lahari Conference in July. Individual board members presented updates from their portfolios. Prasad Revur, thought leader and senior manager, Pavani Engineers, spoke on “Critical Chain Management - A Practical View of Project Management.” He emphasized resource dependencies in critical chain projects and highlighted key aspects of planning and managing projects. On 20 May, chapter members participated in “Whitathon”, a marathon organized by L V Prasad Eye Institute to raise awareness for early detection of eye cancer (retinoblastoma) in children. This was in commemoration of the World Retinoblastoma Awareness Week, 13-19 May. The funds raised from this marathon will go towards treating children suffering from this cancer. PMI was the silver sponsor for this event.